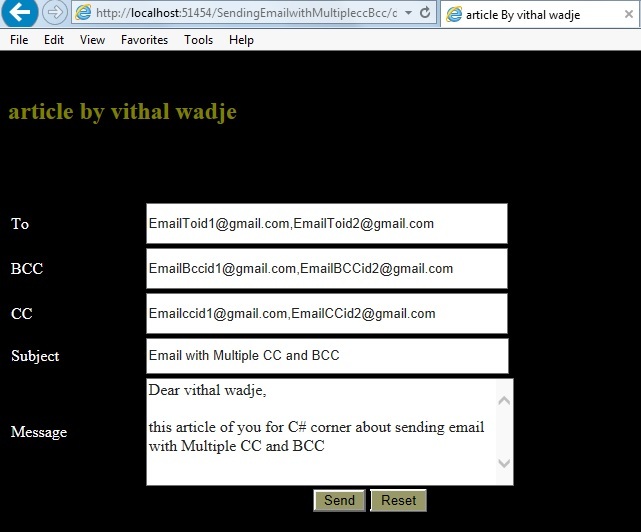 In this article we will learn how to send emails from an ASP.Net C# web application with Multiple CC and BCC. Let us see step-by-step so beginners also can understand the logic to send emails from any provider. There are many techniques to send emails from ASP.Net with multiple CC and BCC but in this article we will use a SMTP server with the Gmail provider to send the emails. Provide the project a name, such as "SendingEmailsWithMultiCCBCC" or another as you wish and specify the location. 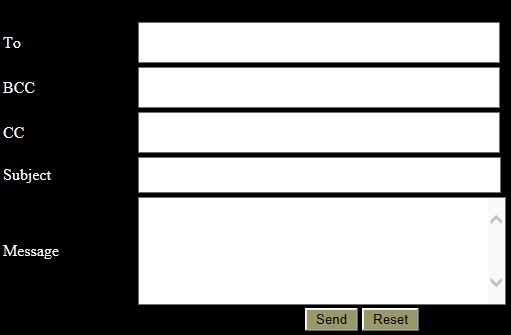 Drag and drop five Text Boxes, two Buttons and one Lable onto "default.aspx". I hope you have created the .aspx page as explained above. In the preceding app settings section, we are adding the sender email details credentials such as email id and word, so we can send the emails and later on we will read these values in the C# code. Now add the separate class file by right-clicking on the Solution Explorer, however this is not necessary since you can also write this code in the "default.aspx.cs" file, but for flexibility we are adding it in a separate code file. Create the following method inside the SendEmail class to send email with CC and BCC. I assume you have completed all the preceding steps. From the preceding example we learned how to send emails with Multiple CC and BCC, I hope you have done it. For detailed code please download the Zip file attached above. We learned how to send emails in ASP.Net with Multiple CC and BCC. I hope this article is useful for all students and beginners. If you have any suggestion related to this article then please contact me.